Rating: 85 percent based on 836 votes. 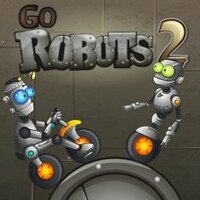 Description: Go Robots 2 is a challenging physics/puzzle game where you have to work with gravity to help the robots safely reach the end of each level. Use the objects along the map to help you reach your goal.